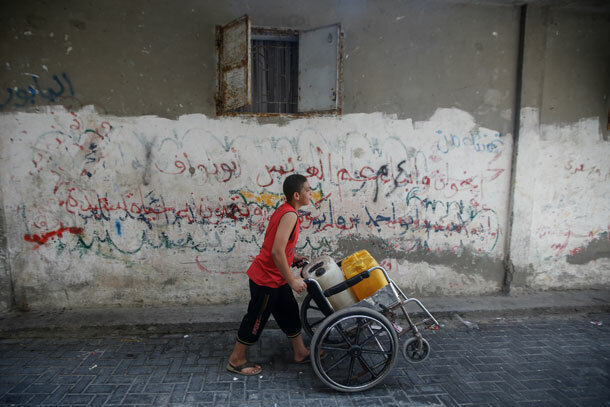 Tolan on the Gaza Water Crisis on PRI's "Living On Earth"
In the Mideast’s hotly contested Gaza Strip, where three out of four people are refugees, access to electricity and clean water is severely limited. The unsafe drinking water has led to a worsening health crisis for Gaza’s children, who suffer from diarrhea, kidney disease, stunted growth and impaired IQ. The problems include the lack of electricity to run Gaza’s sewage treatment plant, and the long-running conflict between Israelis and Palestinians. Sandy Tolan reports from the Gaza Strip. Click below to listen to the full story or click here for the full show transcript.